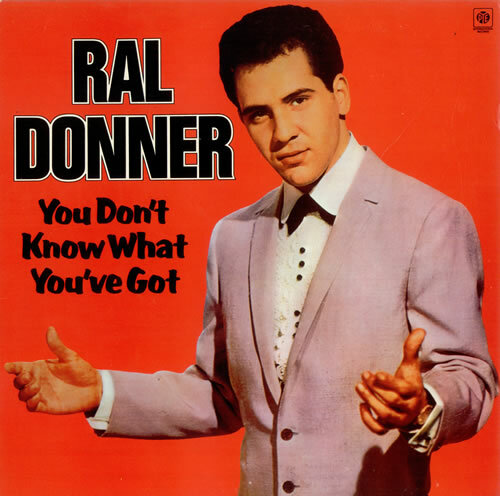 Song of the day: Ral Donner – "You Don’t Know What You’ve Got (Until You Lose It)"
I thought for today’s song I’d play you something from the 1950’s or 1960’s, because I’ve been playing a lot of new-fangled music recently. Just for today I wanted to delve into the early days of rock’n’roll, back when there were elves in the charts (i.e., Elves Presley*). In my auditory travels I came across an old song that isn’t Australian, but one that I found eminently blog-worthy because of my response to the singer in question. The song is called “You Don’t Know What You’ve Got (Until You Lose It)”, and I hadn’t heard it before. When it started I thought “Oh, an Elvis Presley song. I don’t know many Elvis Presley songs. This is another one I didn’t know about, but I know his voice when I hear it.” When I saw the artist listed, I thought “Ral Donner? 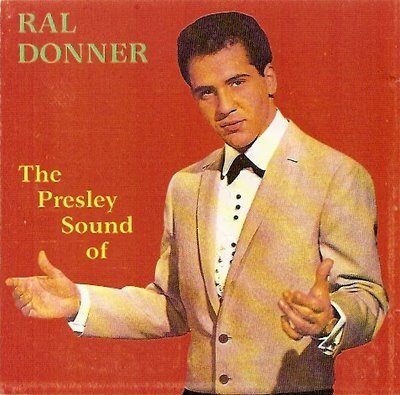 I don’t know who Ral Donner is, but that’s not Ral Donner – it’s Elvis Presley. Someone made a mistake when they tagged the MP3.” I looked through Elvis Presley’s discography for confirmation of my magnificent astuteness, but came up blank. I then looked up Ral Donner’s discography, and there it was. It’s a Ral Donner song. By the way, in what I consider to be The Understatement Of The Decade, Wikipedia states that Ral Donner “had a voice similar to Elvis Presley’s”. I know that in the wake of Elvis the P’s phenomenal popularity there were a lot of singers who did their best to sound like him, but this Ral Donner fellow is… is… well, I think he possibly out-Elvises Elvis. You are currently browsing the archives for the Ral Donner category.